The GHIN service is largest handicap computation provider in the world, serving more than 2 million golfers. GHIN is offered exclusively through the LGA in the state of Louisiana as a service for its Member Clubs to assist in meeting the policies of the USGA Handicap System™. 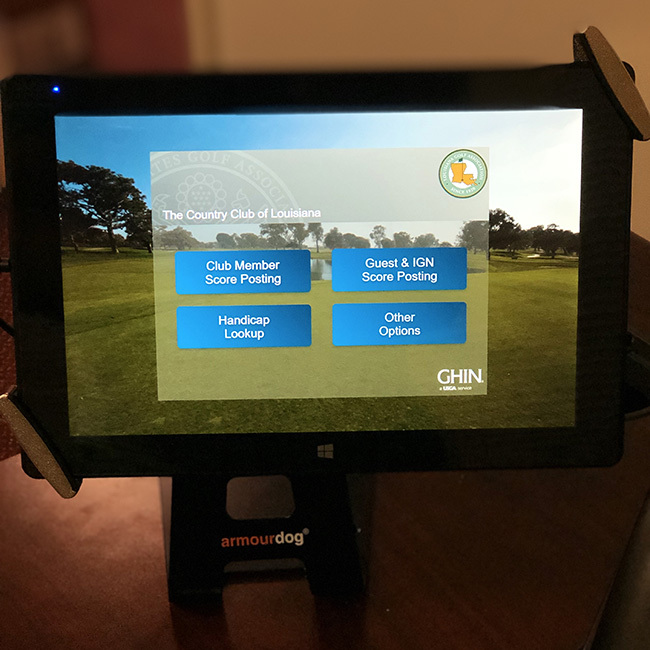 Clubs utilize GHP Online to manage their GHIN rosters, run reports and adjust scores and handicaps in accordance with the USGA Handicap System™. Golfers may post scores at their club using the GHP kiosk (pictured above). The LGA provides this touch screen score posting tablet (and security apparatus) free of charge to its Green Grass Member Clubs. Golfers may also post scores at GHIN.com or the LGA/GHIN mobile app. The Louisiana Golf Association offers best-in-class USGA Tournament Management, Powered by Golf Genius software to its member clubs free of charge. * USGA TM is a web-based event management product that aims to enhance the golfer experience by helping professionals/facility managers better manage their events and leagues. This is also the product that the LGA uses to conduct its own championships. The LGA is the first line of customer service support for its Member Clubs utilizing USGA TM. Check out the video below for more info. *An optional USGA TM Club Premium package is available for LGA Member Clubs to purchase at a discounted rate of $2,500 (retail value of $3,100). Course and slope rating services are provided to LGA Member Clubs at no charge as a benefit of membership (a minimum $3,500 value for 9 or 18 hole facilities that are non-LGA member clubs). The LGA provides a course specific Course and Slope Rating Certificate and Course Handicap Conversion Tables to each of its Member Clubs. The LGA provides tee-to-green measuring services for golf courses at no charge. The LGA maintains the database for the course and slope ratings for all Louisiana courses. If you are an LGA Member Club interested in having your course rated, please contact Kyle Nagdeman at knagdeman@lgagolf.org. 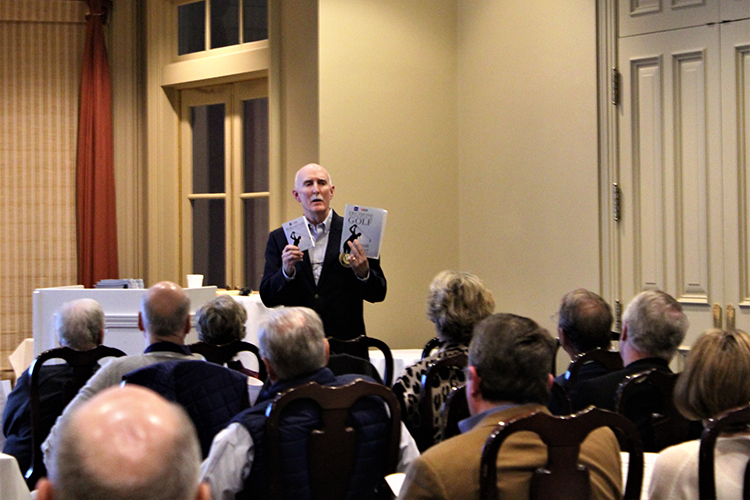 The LGA regularly works with affiliate organizations to host educational seminars or sessions focused on key issues such as handicapping and Rules of Golf as a way to assist Member Club staff and personnel with ongoing operations.